I’ve been asked to join the MPG at their 2012 Awards and I will be sending out the results live on Twitter and Facebook as they happen. 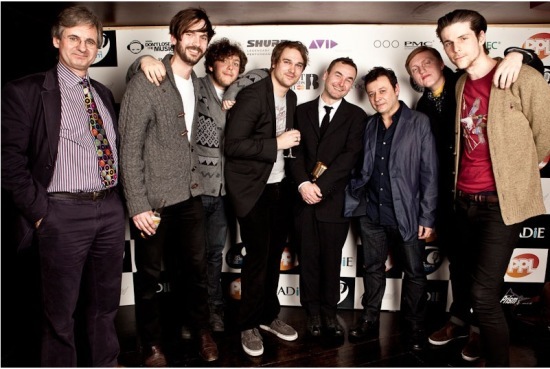 The awards take place in February 2012 at London’s Café de Paris and celebrate the creative talent and technical ability of music producers, engineers, mixers and re-mixers. For the 2012 event the MPG have launched two new international categories, International Engineer and International Mixer, to join the existing International Producer category The UK Producer of the Year will again be awarded a BRIT. I’m a huge supporter of the Music Producers Guild who work hard to support producers and engineers, both emerging and established. I know some of their leadership as friends and have a huge amount of admiration for them, so it was a no-brainer when I was invited to attend the awards.